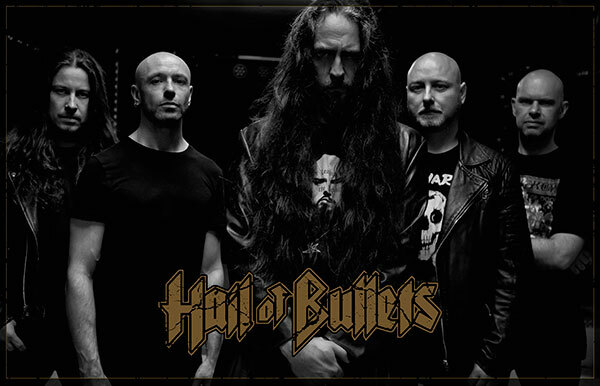 HAIL OF BULLETS were formed at the end of 2006/early 2007 when guitarist Stephan Gebédi approached singer Martin van Drunen, drummer Ed Warby, bass player Theo van Eekelen and guitarist Paul Baayens with the idea to join forces in an old school death metal band. The band members already knew each other from their previous and present bands like Pestilence, Gorefest, Asphyx, Thanatos and Houwitser. From the start it was crystal clear there was a mutual love for real death metal bands like Autopsy, Massacre, Bolt Thrower, early Death as well as Celtic Frost. 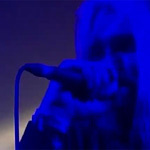 The metal started flowing and in July 2007 the band decided to record four songs for a promo CD. 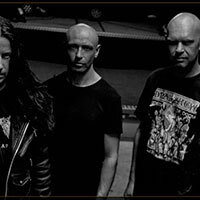 Swedish death metal guru Dan Swanö produced the four songs at his Unisound Studios and the result turned out pretty monstrous. 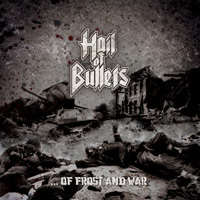 Metal Blade Records didn’t hesitate to sign the band and HAIL OF BULLETS’ debut album ‘…Of Frost And War’ was released in May 2008. Apart from the thundering drums, scorching guitars and tormented vocals, the lyrical concept about the battles at the Eastern front during World War II made the album’s impact even bigger. The reactions of the press and fans were amazing and the band played countless festival dates and club shows all over Europe. 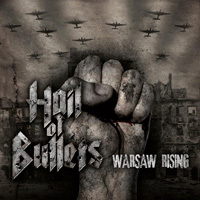 The debut album was followed by a six-track mini album in July 2009, entitled ‘Warsaw Rising’ which featured two brand new songs, a cover version of Twisted Sister’s ‘Destroyer’ plus three live tracks recorded at 2008′s Party.San Open Air festival. 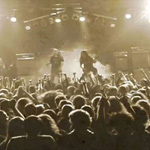 More shows followed and the band even made their first visit to the USA at 2009′s Maryland Deathfest. 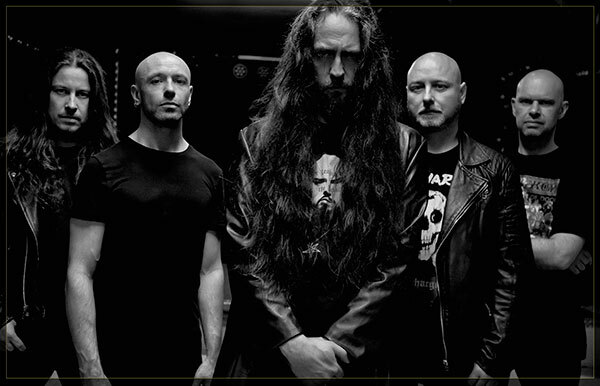 In 2010 the band started work on their second full length album, another massive chunk of war-themed death metal. 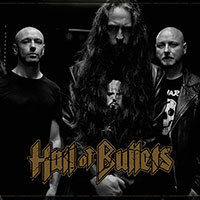 Hail of Bullets managed to come up with a new, intriguing lyrical concept. The rise and fall of the Japanese Empire. The album was produced by Ed Warby and like before the monstrous mix was in the capable hands of Mr. Swanö. 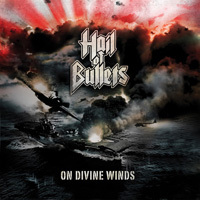 “On Divine Winds”was released in October 2010 and once again the reactions were overwhelming. The album even entered the German album charts and was voted ‘album of the month’ in various leading metal magazines. 2011 saw the band playing most of the prestigious European Summer festivals Like Hellfest, Wacken Open Air, Summer Breeze, Party.San, Brutal Assault and many more. The band also played Maryland Deathfest for the 2nd time. In 2012 the band started writing songs for their third album, which sees the band approaching things a bit differently lyric wise. Instead of describing a certain campaign or theatre of war, this album focuses on German field marshal Erwin Rommel who, despite fighting on the wrong side, was undeniably a great strategist both feared and admired by his enemies. 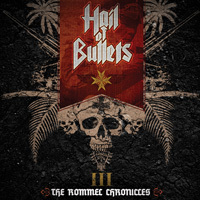 Music wise this third album, entitled “III: The Rommel Chronicles” is a bit faster, rawer, more aggressive and direct than “On Divine Winds” which had a more epic, heroic feel. Once again production duties were handled by Ed Warby and the album was mixed and mastered by Dan Swanö. A new lyrical approach also asked for a different type of artwork, which was provided by Dutch artist Erik Wijnands. After playing more shows in 2013 and 2014, the band planned a well-deserved break for 2015. 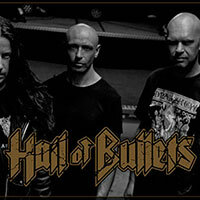 At the end of this break Hail of Bullets decided to carry on without singer Martin van Drunen due to personal issues. 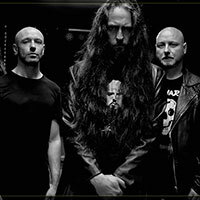 During their appearance at Maryland Deathfest, Baltimore on May 28th 2016 the band announced David Ingram (ex-Bolt Thrower/Benediction) as their new permanent vocalist. 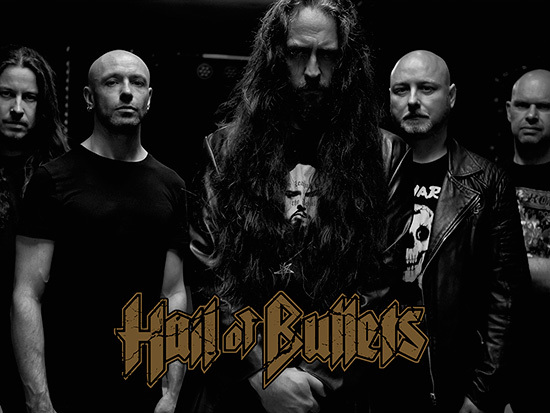 The band will soon start writing new material and 2017 will see the Hail Of Bullets war machine return to both the live front and the studio at full combat strength! Advancing Once More!